A car versus pedestrian accident is a nightmare for everyone involved, but new technology from Volvo could reduce the likelihood of the pedestrian sustaining serious injuries. The car company recently began selling the world’s first external airbag-equipped car. 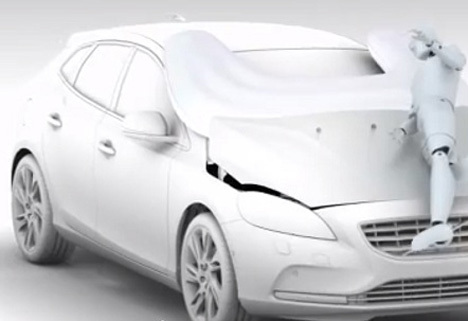 The Australian version of the Volvo V40 features a pedestrian protection system. This system consists of sensors in the front of the car and an airbag that pops up from under the hood. The sensors detect when a pedestrian has been hit, which in turn causes the external airbag to pop up instantly. The airbag is meant to protect the pedestrian from head injuries, which are the most common cause of death in car versus pedestrian accidents. 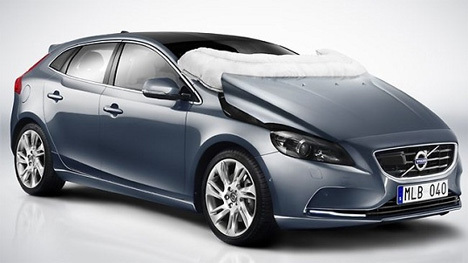 Pedestrians will be protected in the case of an accident with a Volvo V40, but the driver will have to fork over $3000 (Australian) to replace the setup after an accident occurs and the airbag deploys.